5-Minute Updos For When You Don’t Want To Leave Your Hair Down! While we’re sure that your tresses look stunning when left open and flowing, we also acknowledge the fact that we all have those days when we want our hair off our face. We want easy hairstyles that looks stylish and is comfy too. It is for these very days, that we’ve put together this post for you. Here are 7 easy peasy updos that will keep your mane game strong without taking up too much of your time or effort. The oomph that a messy top knot adds to your look is impressive, isn’t it? This hairdo requires no combing (some teasing would help though, to give your hair some volume at the crown). Collect all of it right at the crown, or below that (depending on how you want it placed) and make a bun there. Secure this with some pins and tease the bun a tad to give it more volume and a lovely messy look. French braids always look so adorbs! 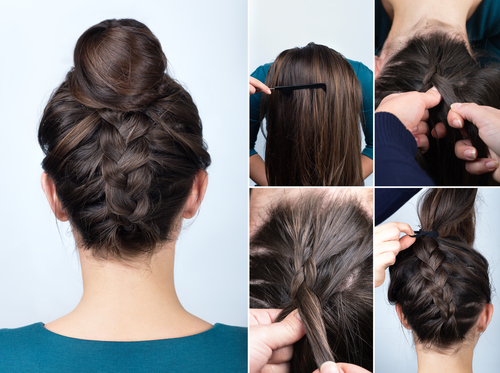 And when it’s a French braid with a twist, we know it’ll make for a great hairdo. This upside down French braid starting at the nape of the neck is ultimately part of a high bun which looks spectacular! Give it a shot already! Oodles of volume in the front, and all the hair collected in a bun that is teased to look messy but set - now that’s a celeb-approved hairdo that anyone would love to flaunt. 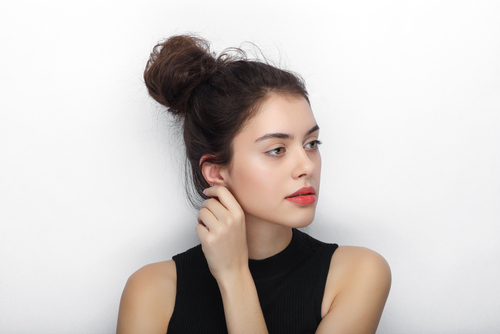 Secure this bun with pins and use hairspray to tame flyaways. We can’t help but admire this crown braid that is bound to look good on anyone and everyone! This one is a braid in front, going from one side to the other and then collected at the back of the head. If you have thick and long hair, this hairstyle is one that will get you a ton of compliments. A deep centre part, and all the hair collected in a low bun at the nape of the neck - Sonam Kapoor sure knows the hairstyles that suit her most. 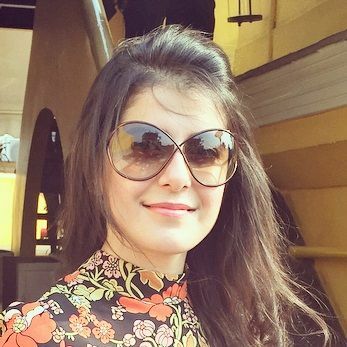 This one in particular looks extremely elegant and chic, don’t you think? 6. Wrap around plaits, anyone? 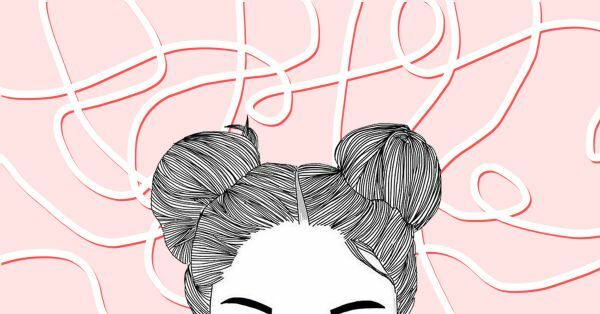 We’re sure that by now you love the braid and bun combination just as much as we do. This one is yet another fairly simple hairdo. Comb your hair to make it tangle-free, and make a high ponytail. Then, use the middle section of the ponytail and make a braid. 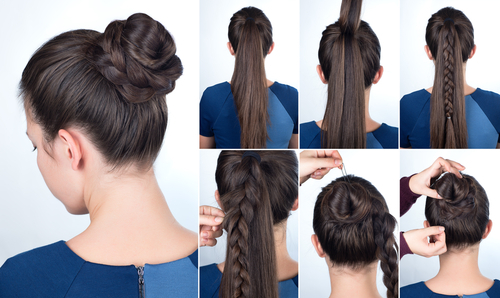 Place the rest of your hair in a bun and follow that with wrapping the braid around the bun. You’re all set then! How elegant does a bouffant like this one look? It could be an evening out with the girls, or a romantic date night, this dreamy hairdo never fails. Create a bouffant at the brown area and leave a few strands loose in the front section. Make a side part with the loose strands and collect all the hair in a low chignon, and voila! You’re good to go and impress all!